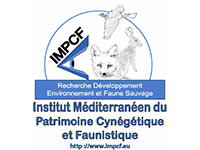 Excerpt from the internship report of the Masters University of Rouen-IMPCF of Hugues SANTIN-JANIN September 2004. The wood pigeon is the largest pigeon in Europe, it is much larger and stockier than other pigeons. The throat is pink-purple, pulling toward pale gray on the belly. The head is gray, with distinct white patches on the side or neck (except in young people, duller). Thighs, legs and feet are yellow. The tail is broad, and has a broad dark band at its end. In flight, a white line crossing the middle of the wing becomes visible. 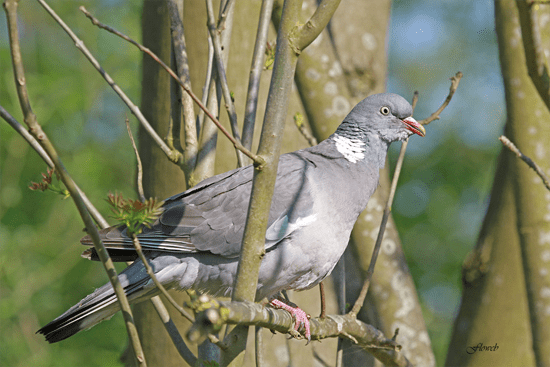 Its beak is slightly hooked (unlike other European pigeons), this beak is made to tear the leaves. The other name of the Wood Pigeon is the Palombe. 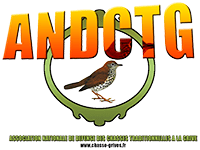 In France, we can observe breeding, migratory and wintering individuals. This species is very common throughout the national territory. It is found in open countryside of all types, provided it is dotted with a few trees. But also in clear woods, mixed forest edges, parks and public wooded gardens, close to crops and fields for food. Thus, it is found everywhere in Europe, in rural areas, but also in the suburbs and in the heart of cities. The breeding range of this pigeon extends from the maritime and Mediterranean countries of the old continent to the western foothills of the Himalayas, at latitudes between 30 ° and 65 ° N. Nesting takes place from the level of the sea ​​up to 3000m in the most Asian part of the range. The species is partial migratory (diurnal migrant). 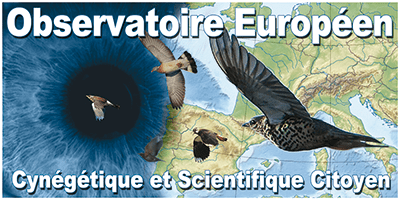 Birds from the temperate and southern regions of Europe do not undertake migration, while northern and continental birds migrate to spend the “bad season” on the Atlantic coast of Europe, in the Iberian Peninsula , northern Mediterranean shores, Turkey and the Middle East. In our country, sedentary birds are joined at the end of September by many migrants (Yeatman, Berthelot & Jarry, 1994). These converge towards the western end of the Pyrenees. Crossing the passes of the Basque Country, to the Iberian winter quarters, gives rise to sometimes spectacular local concentrations. CRAMP (1985) locates the peak of passage of postnuptial migration in France between 10 and 20 October. He locates the return migration to Europe between March and April. For the past ten years, the cultivation of maize, which now extends throughout the South-West, has radically changed the ancestral habits of the birds that are settling more and more numerous at the foot of the Pyrenees which they give up cross the passes. 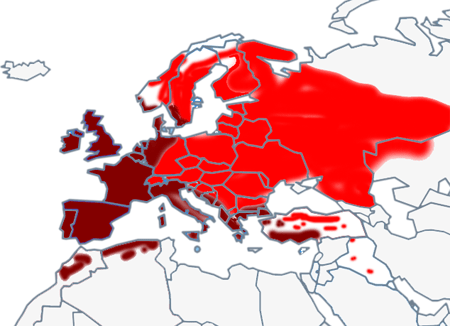 The development of this wintering seems to concern populations of Medio-European origin.